Our Log Dresser is now available in Red Cedar and Juniper Log! 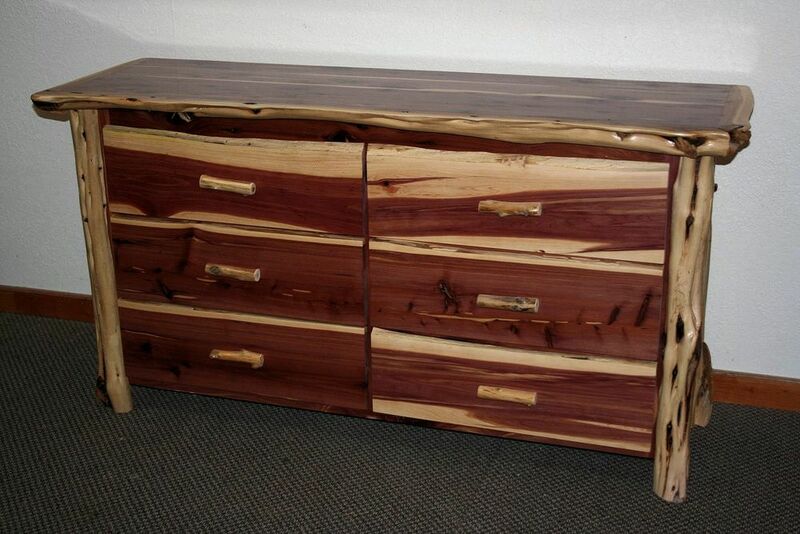 This dresser can be made in custom sizes. Features Live Drawer Front Edges. Beautiful rich tones and character are brought out by the 3 coats of high end furniture lacquer that we apply to our case goods. Customs sizes and styles are available, please feel free to inquire!